The Quality Policy of the Molecular Biology Institute of Paraná (IBMP) consists in providing high quality technological solutions and products to meet healthcare needs, always seeking client satisfaction. IBMP is committed to continuously improve its processes, products and results, by training its collaborators, respecting the environment, and ensuring the dedication of the administration. 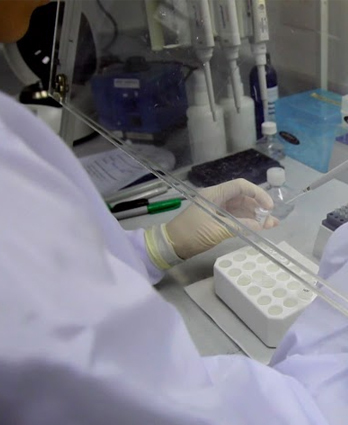 Committed to continuous improvement of its processes and products, IBMP is guided by a Quality Management System that ensures compliance with the current Good Manufacturing Practices for medical and in vitro diagnostic products recommended by the Brazilian National Agency of Sanitary Surveillance (ANVISA). In 2011, IBMP was certified by ANVISA as compliant with cGMP and was qualified as an official supplier of Bio-Manguinhos/Fiocruz. On a regular basis, IBMPs processes are assessed by different auditing teams that confirm the Institute’s compliance with the Quality criteria. Since 2009, IBMP has held the Quality in Biosafety Certificate issued by the National Technical Committee on Biosafety (CTNBio). The certificate validates areas of the institution dedicated to the manipulation of genetically modified micro-organisms (GMOs) as well as the procedures adopted for safety and waste disposal. Quality Assurance is the sector responsible for coordinating the QMS. For this purpose, it establishes and complies with a set of guidelines for the production, approval, distribution and control of documents, which are made available to different sectors of the Institute. Production is regulated by manuals describing the activities for each stages of a process. These manuals contain information ranging from the choice of raw materials to quality control procedures of finished products. IBMP’s QMS has over 500 documents outlining the procedures adopted in all the areas of the Institute. Document Control allows complete tracking of activities related to all processes performed at the Institution. Currently, the Plant for Development and Production of Diagnostic Products has around 500 equipment and devices, out of which 300 are kept calibrated and, in some cases also qualified. IBMP’s Quality Control Laboratory is responsible for measuring and analyzing the raw materials received from various suppliers and also the products manufactured in the Institute. The objective of this lab is to check whether all products are in accordance with pre-defined standards. IBMP has Physicochemical, Microbiology and Molecular Biology laboratories, in which many tests are conducted with the aid of the latest equipment and qualified professionals.